Reddit user FoxyPMC must have spent a ridiculous amount of time putting this together. 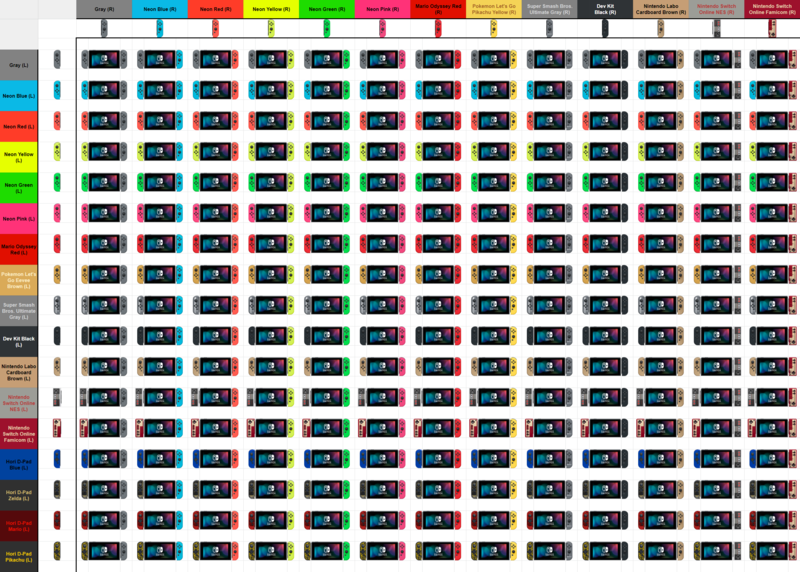 If you ever wondered what every possible combination of Switch Joy-Con would look like, you can now reference the chart above! This chart features every officially-released color combination. Time to hunt down the one you like the most and make it a reality! For the sake of aesthetics with my room, I&apos;ll go with Gray-Gray. Of course, Joy-Con L can change if I ever come across one with a D-Pad. What&apos;s the point of the dpad option if it can only be on handheld mode?